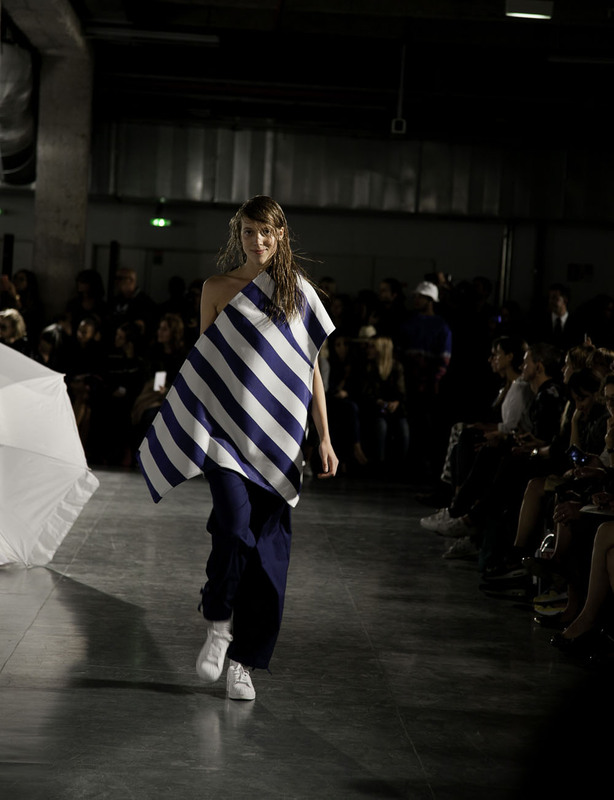 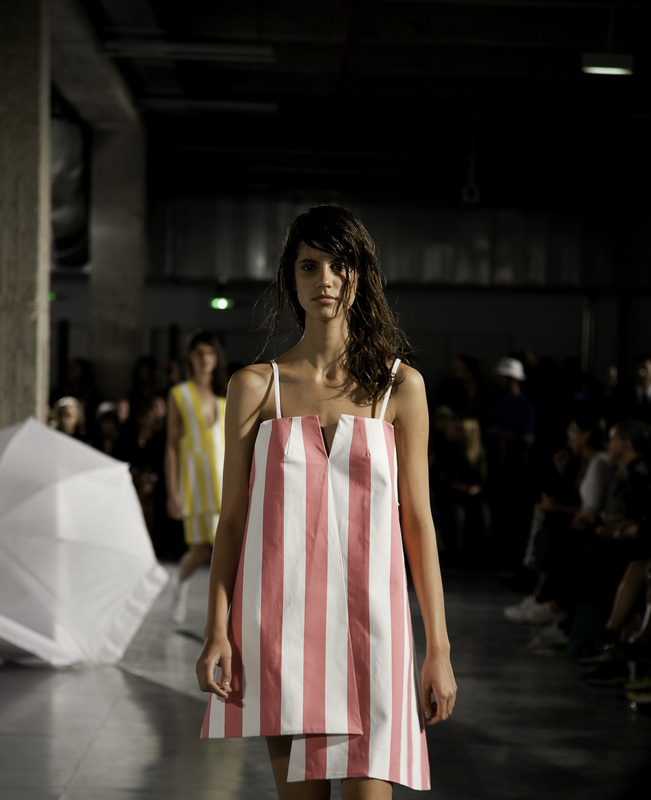 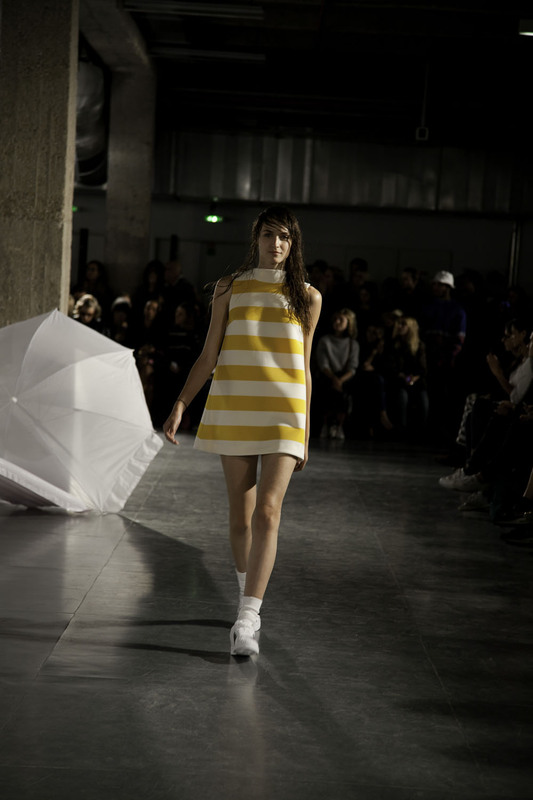 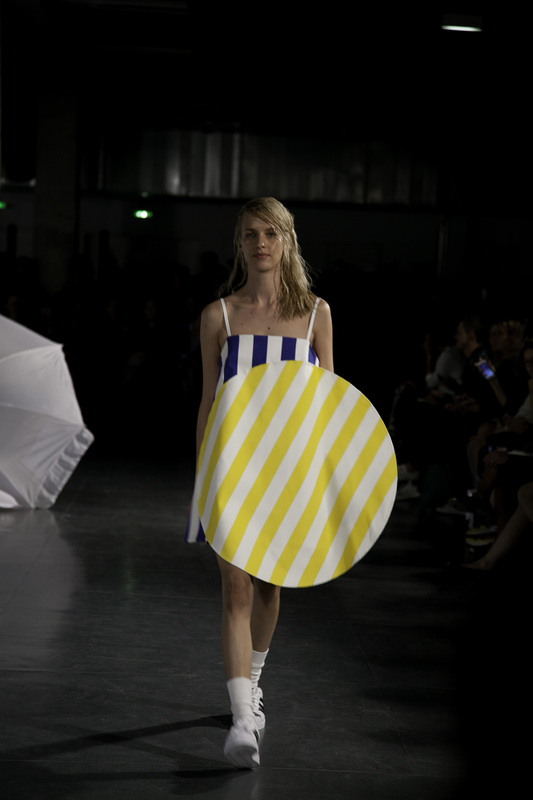 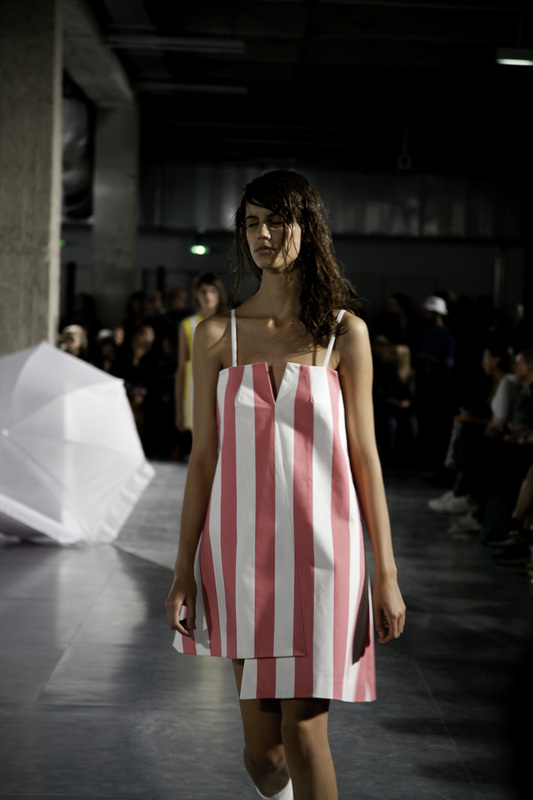 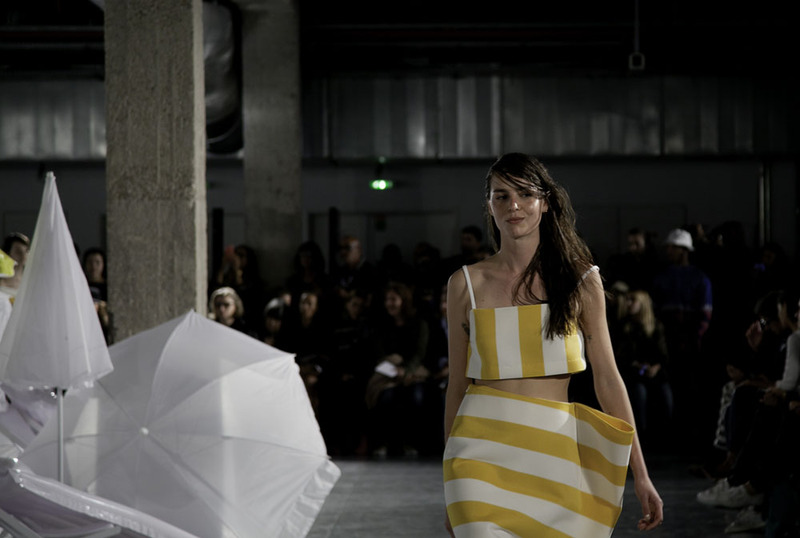 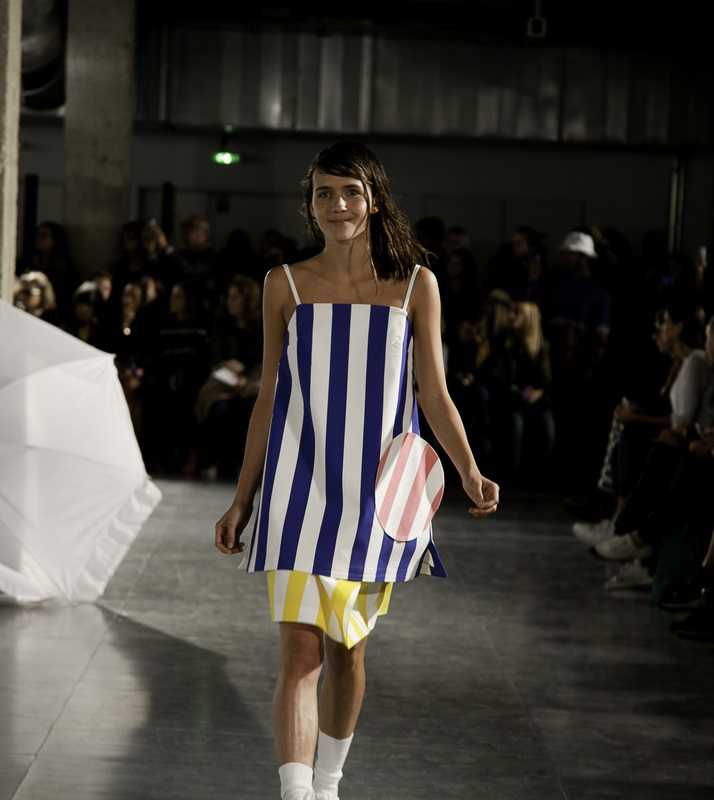 For his presentation of his SS2015 show, Simon Porte Jacquemus took us on a very joyful trip to his childhood in the South of France at the sunny coast of Marseille, Joyful colors, Cabana Stripes and Upbeat music took us a small summer escapade french style. 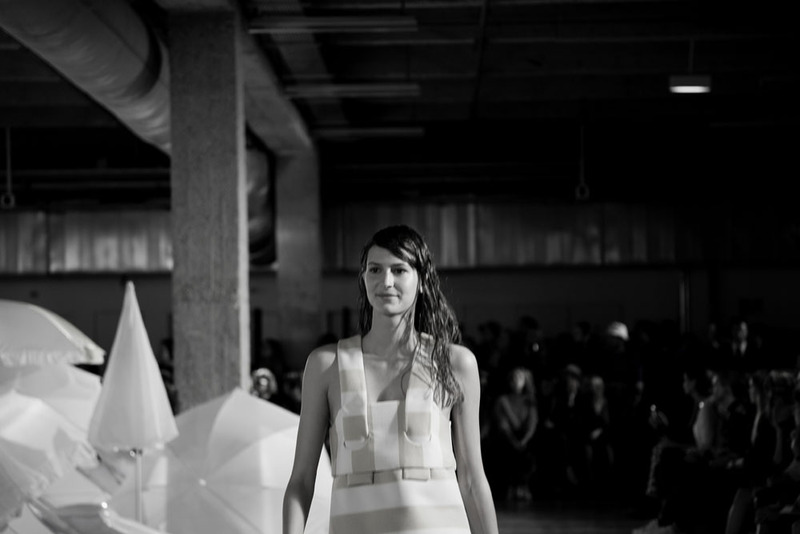 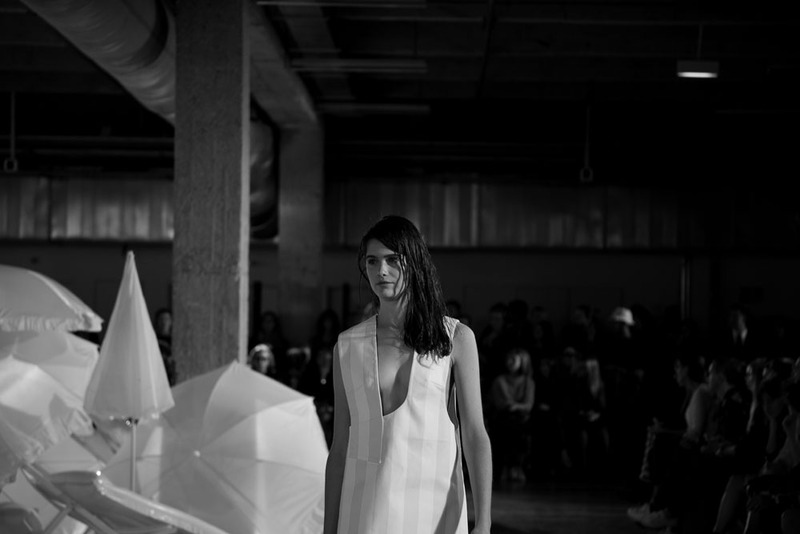 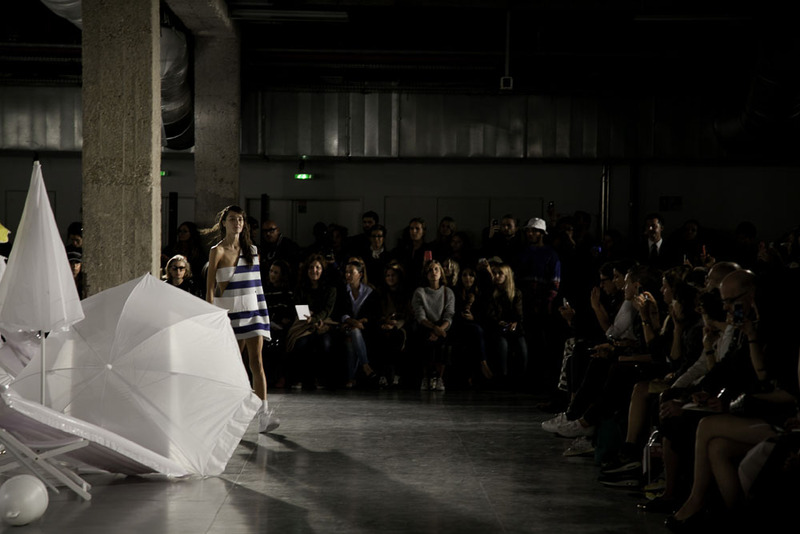 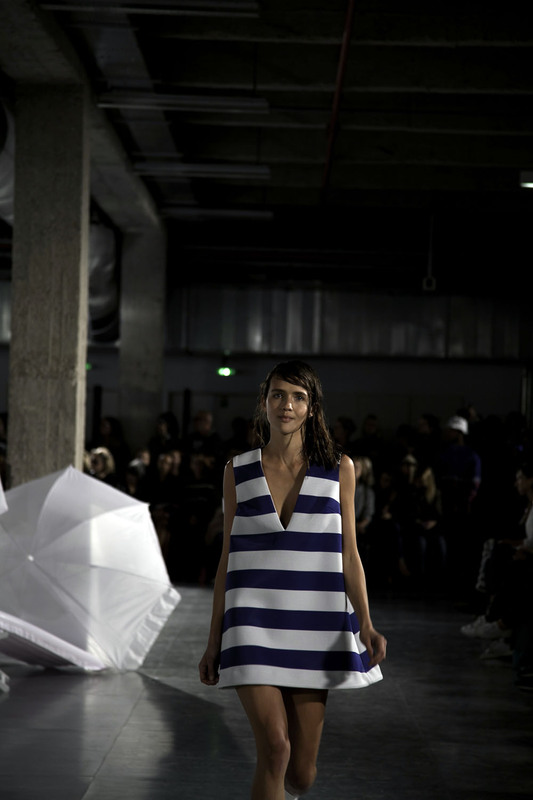 Like in past seasons Jacquemus played with the construction/deconstruction of new shapes and lines. 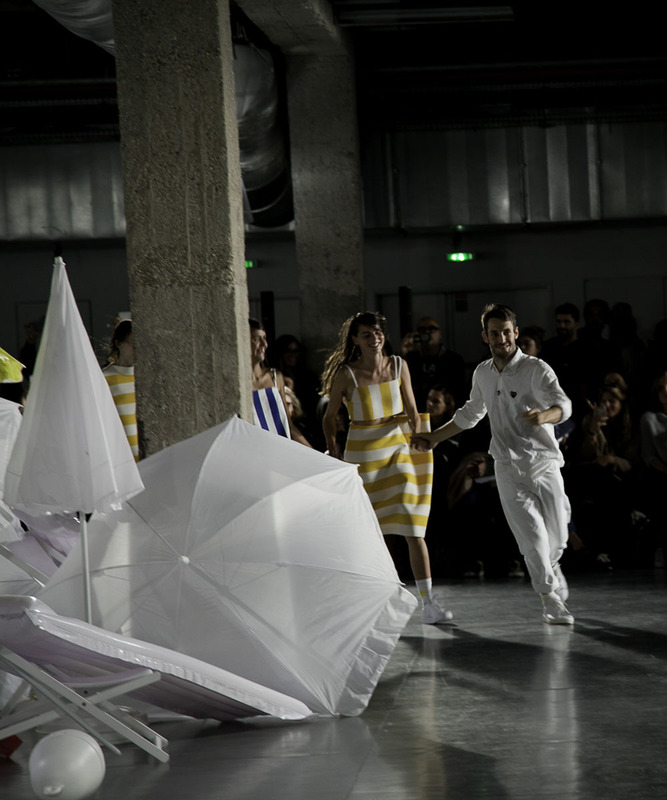 I particularly like his shows as they are upbeat and happy which is not always the case inside Fashion Shows, all the girls have the genuine innocence and joy that puts a smile in your face.